Put your event out there! From Place Ville-Marie to Mount Royal, let your event be seen with the Montreal Poster! 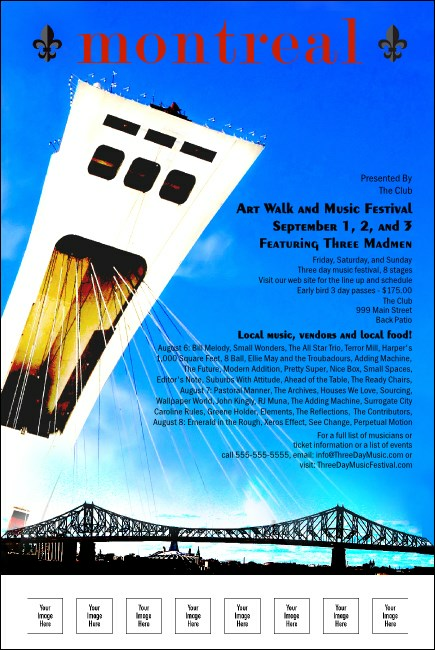 Great for local events big or small, the poster features a beautiful view of the Jacques Cartier Bridge and Olympic Stadium as well as space for five custom images so you can show off your event sponsors and performers!